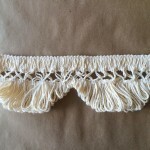 Wonderful 3in scalloped lace fringe. 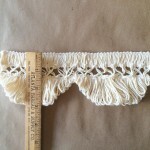 Great for rug fringe, draperies, towels, cushions, etc. 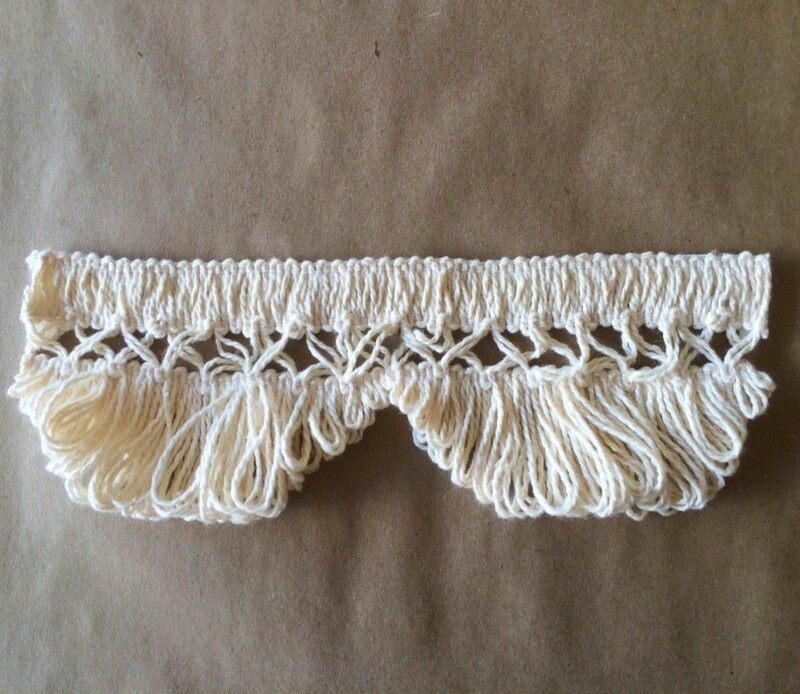 This fringe is machine washable. 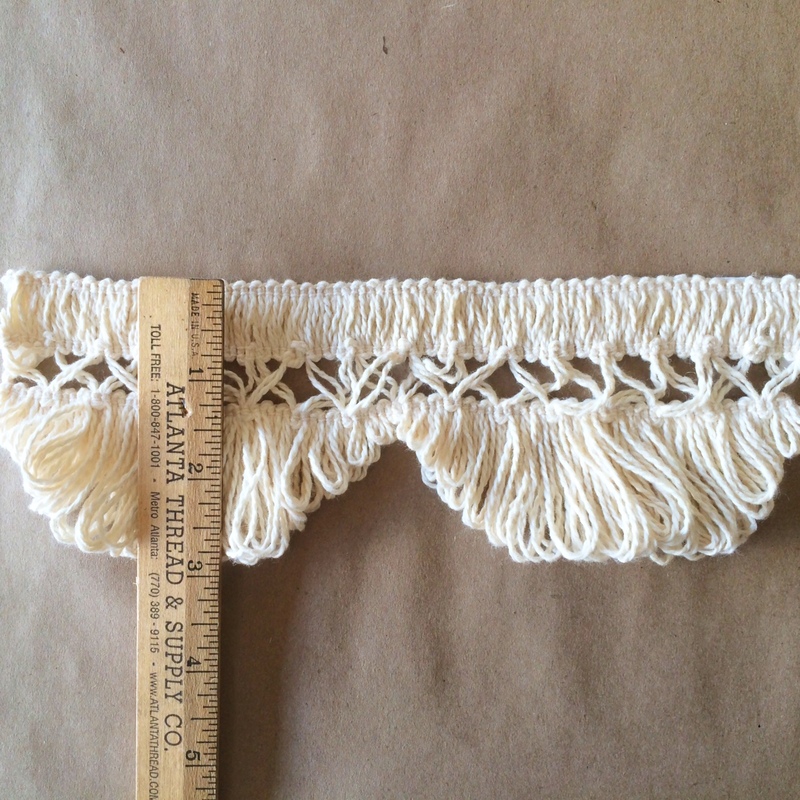 Made with 100% natural Cotton.